The former editor of three UK dailies has drawn on inspiration from the newsroom for his debut novel. Terry Quinn edited the Daily Record, Edinburgh Evening News and the Bradford Telegraph & Argus, as well as serving as editorial Director of Thomson Regional Newspapers. His career also saw him work in the USA, Canada, Australia and New Zealand. 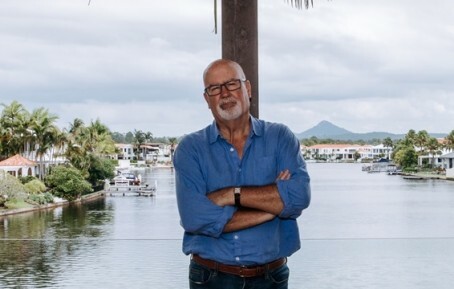 Now retired and based in Queensland, Australia, Terry’s novel The Scoop follows the story of Australian journalist Jonno Bligh. Described as a “pulsating page-turner underpinned by a complex love story”, The Scoop features a “sweeping storyline” which criss-crosses between Sydney, London, Los Angeles and South-East Asia. Terry, pictured, is currently working on his third ‘Jonno Bligh’ novel. His second in the series – The Editor – will be published by Simon & Schuster Australia in 2019.